The series 3850N Calibrators are handheld, battery-operated, precision single/dual parameter instruments designed for sourcing as well as measuring mV, mA or ohm signals. They are derived from our field-proven series 853X calibrators for cost-effective calibration of a select subset of a variety process control instruments and systems. 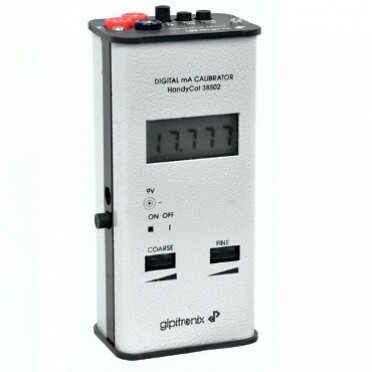 Features & Specifications :* Harmonics Index Measurement, 4-20 mA Loop Current Measurement, Dua..
4½ DIGIT DIGITAL MULTIMETER WITH TERMINAL BLOCKING PROTECTION4½ Digits (19999 Counts).65 x 35mmDiode..